December is approaching, and you’re probably wondering what to buy for the guinea pig fan in your life. 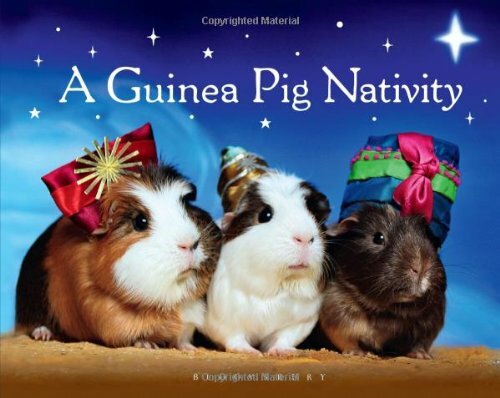 A Guinea Pig Nativity is the Christmas Story as you’ve never seen it before: with (you guessed it) guinea pigs! It’s a perfect stocking filler, with well-known biblical characters brought to life by some very photogenic piggies. It’s available from the Shop at April Lodge, and we have plenty of copies available. Six of the guinea pigs featured are ex rescues, and we’re delighted to be supporting it. Oh, and if you’re leaving a carrot for Rudolph on Christmas Eve, make sure the piggies get one too!